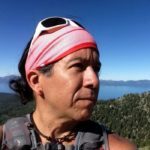 In the Peruvian music documentary “Sigo Siendo,” one of the characters proclaims that with music and dance one gives “more life to life itself.” That is exactly how I felt when I discovered the meaning of the word “sakura” during my recent travels to Japan — its literal meaning gave it even more meaning. And this Pisco cocktail, tells the story of its many meanings. 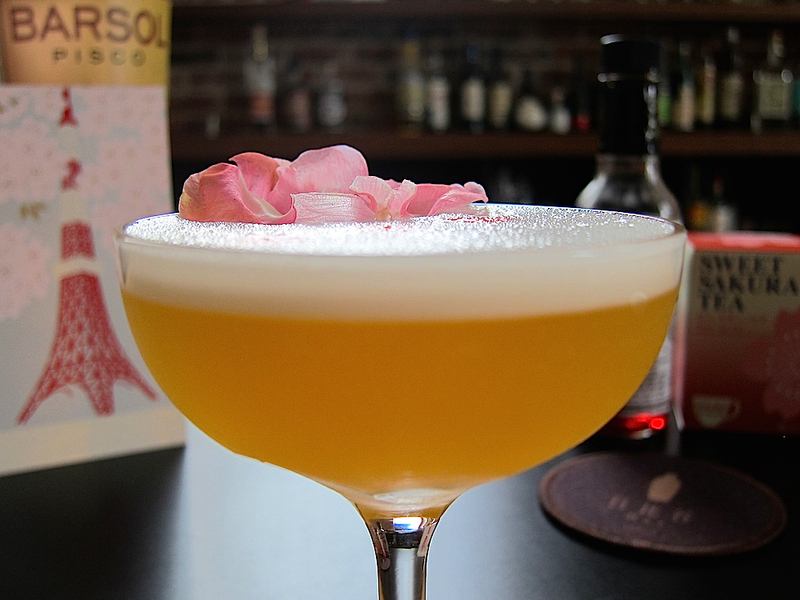 Presenting, the Sakura Sour, a Pisco cocktail that celebrates the ephemeral beauty of Spring time cherry blossoms and the profound connection between Peru and Japan that began over 100 years ago. During my recent visit to Japan, everyone I met kept saying, “you are so lucky to be here now!” — of course they were referring to the timing of my trip which coincided with the blooming of the cherry blossoms, a season that is impossible to predict and which last only 1 or 2 weeks. During that time, all of Tokyo comes out to eat and drink under the cherry blossoms, for good fortune and to celebrate their beauty, so with my own bento box in hand from the food court floor of a local department store, I was happy to join in that celebration. It was here that I learned that the word for cherry blossoms is “sakura,” and all of a sudden that word was everywhere I looked. But the first time I encountered the word “sakura” was while doing research on the origins of Nikkei cuisine, the fusion of Japanese and Peruvian cultures that began over 100 years ago when the ship “Sakura Maru” brought the first Japanese immigrants to Peru in April of 1899. Only now, do I realize how profoundly appropriate it is, that the birth of the Japanese culture in Peru would be connected by name to the Spring time cherry blossoms that bloom during April in Japan. That’s why “sakura” now has so many meanings, and with this Pisco and sweet sakura tea cocktail you can celebrate Peru, Japan, a ship, a flower, Spring, and fleeting beauty, all in one glass. Mix the Pisco, lime juice, simple syrup, and egg white in a shaker. Add ice and shake for 1 minute to create a thick egg white foam. Serve strained in a coupe, and garnish with 3 drops of Peychaud’s bitters and petals of an edible flower. To make the simple syrup infused with sakura tea, combine 1/2 cup water and 1/2 cup sugar in a sauce pan over medium heat with 2 bags of sakura tea. Stir until the sugar dissolves, remove from heat, and let steep for 10 minutes. Remove the tea bags and let the syrup cool before using.